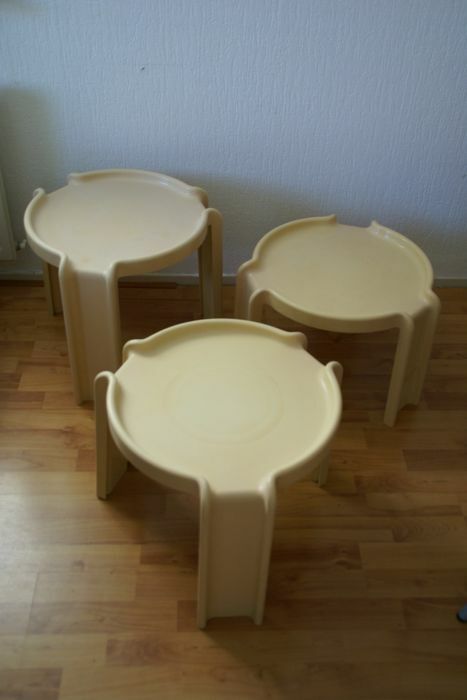 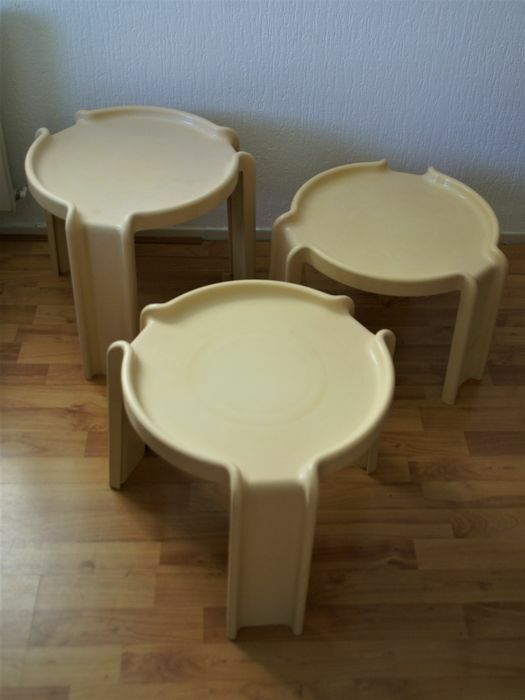 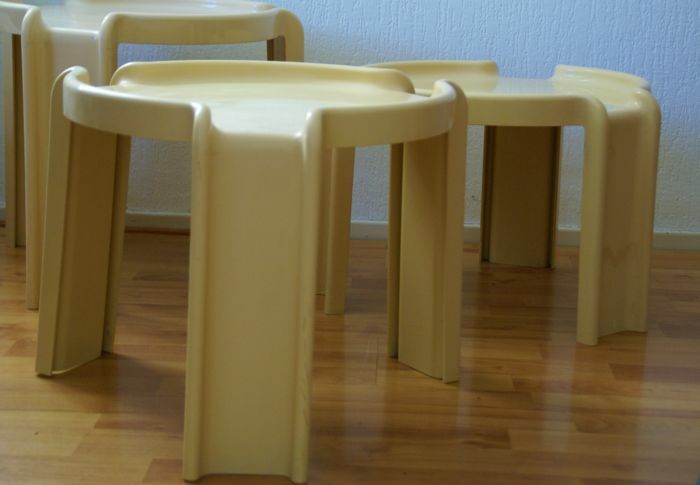 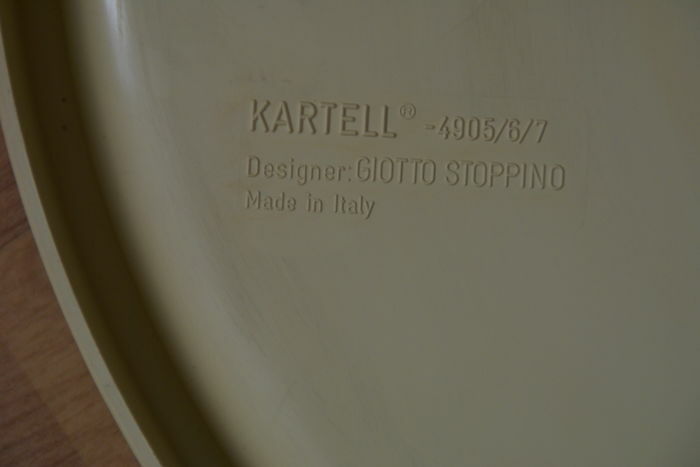 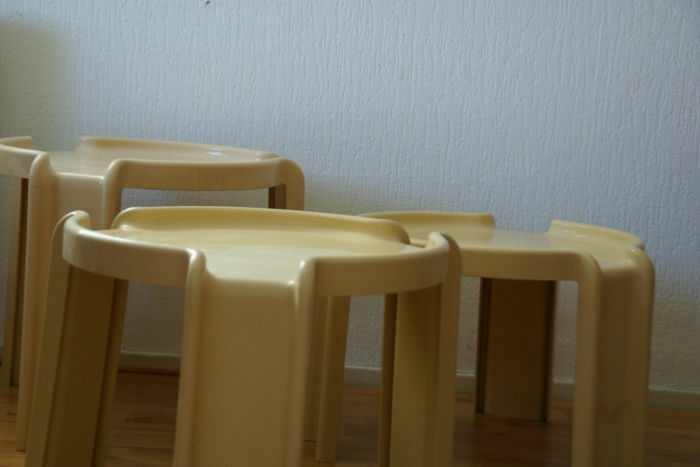 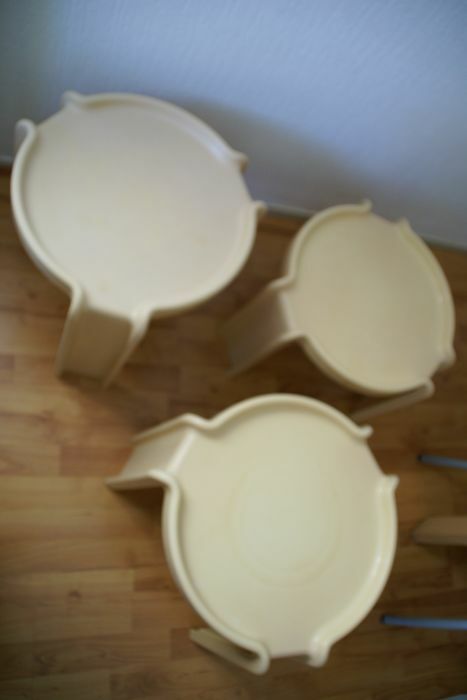 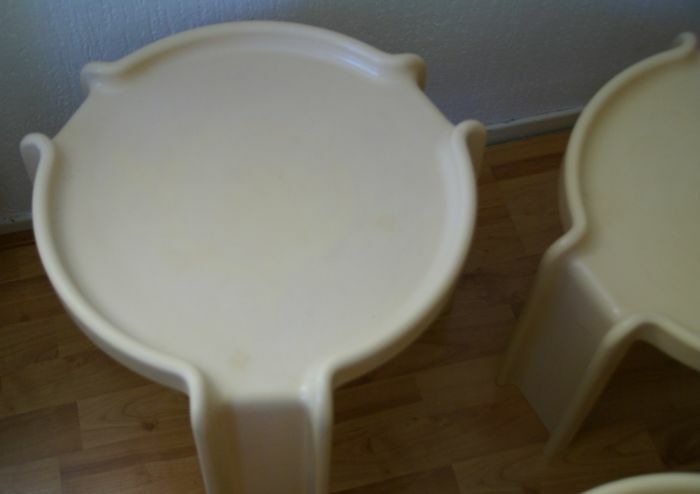 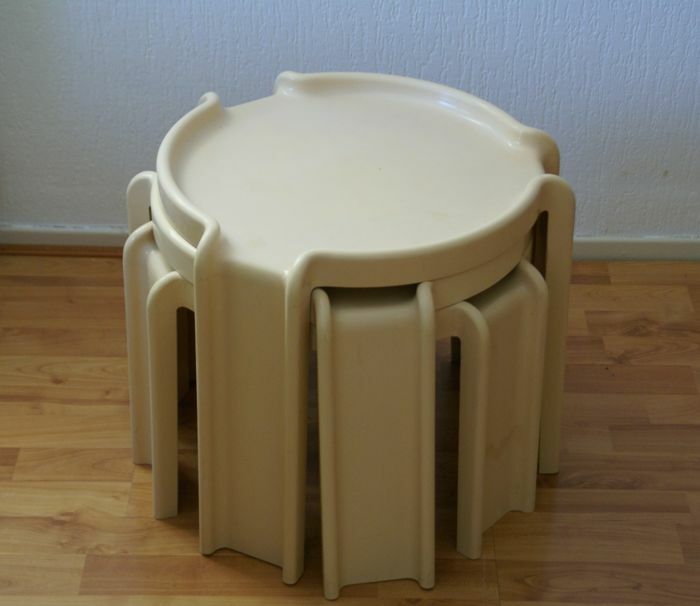 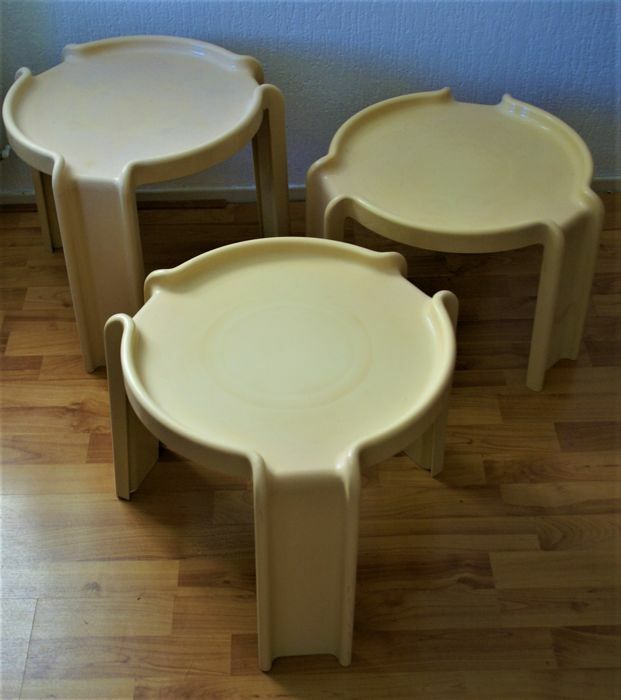 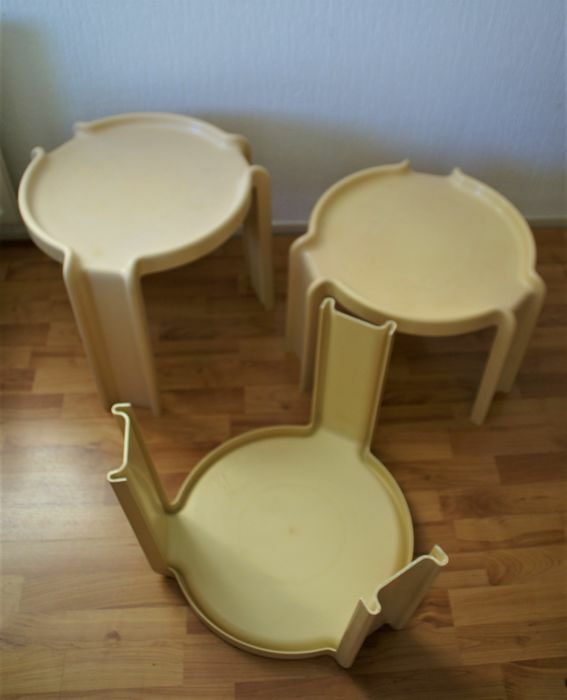 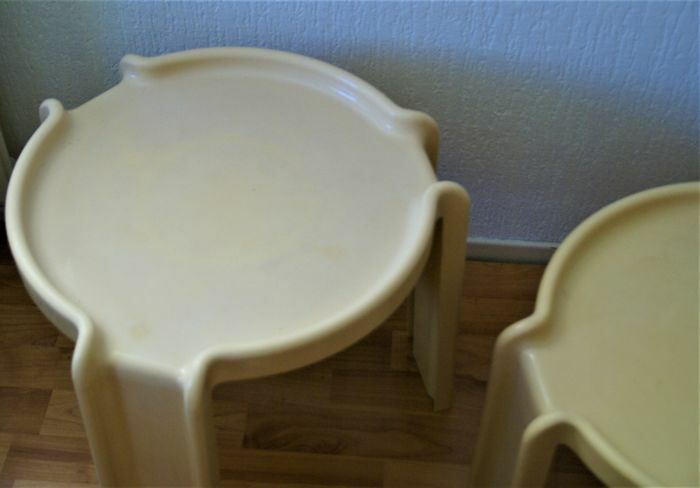 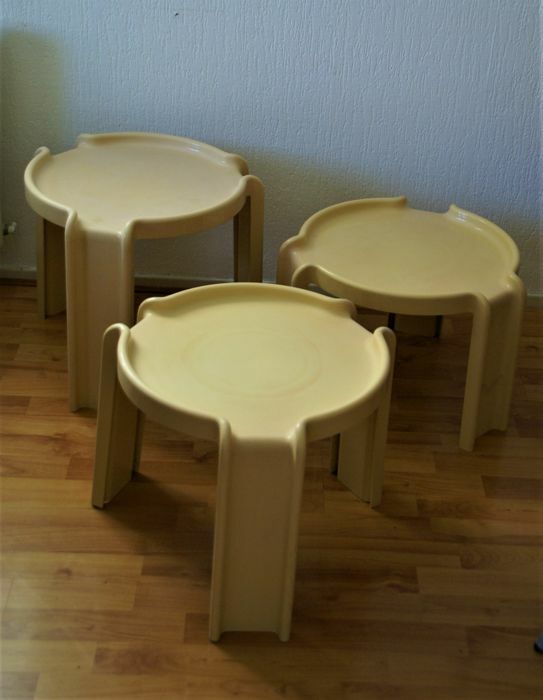 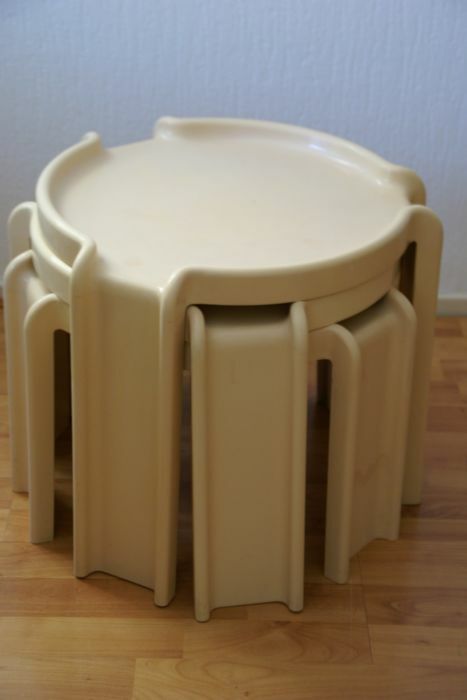 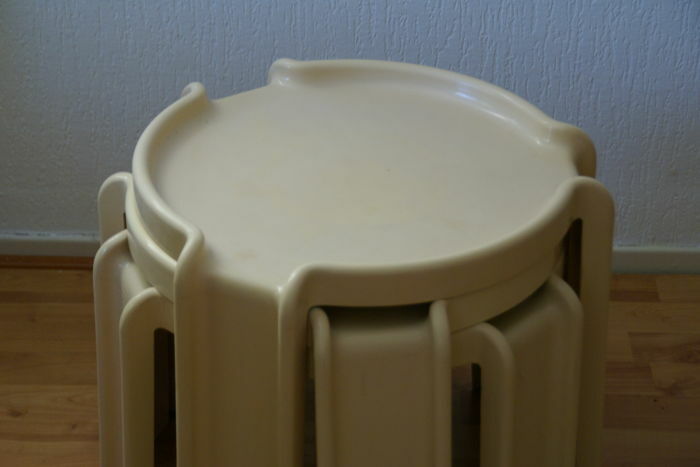 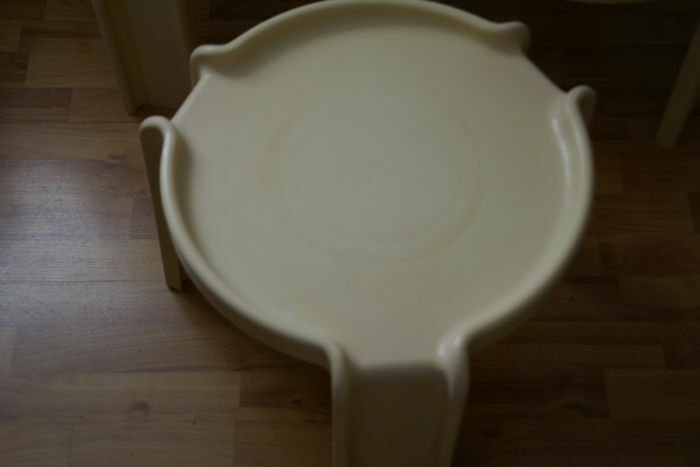 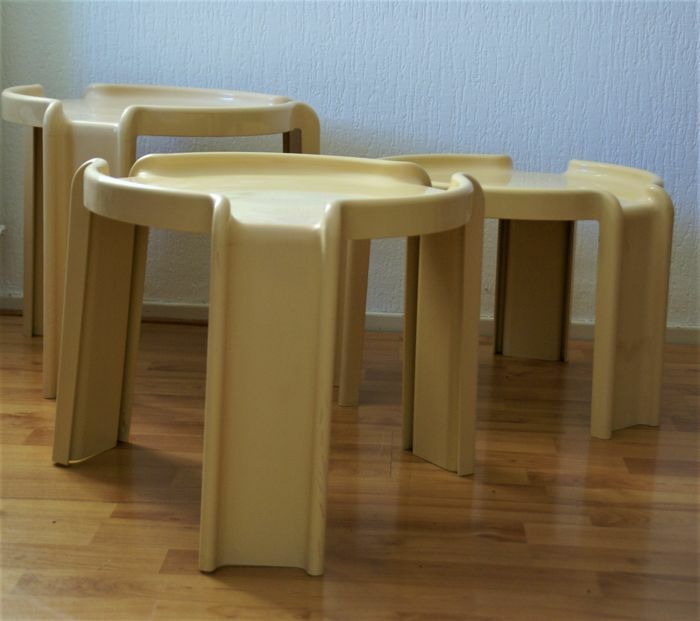 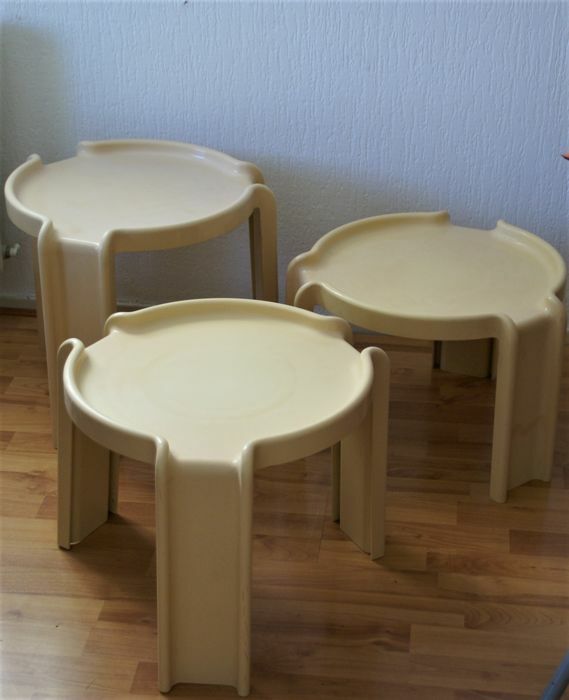 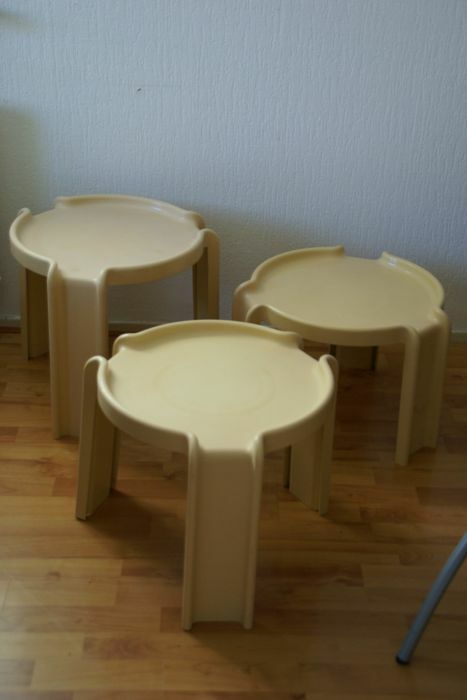 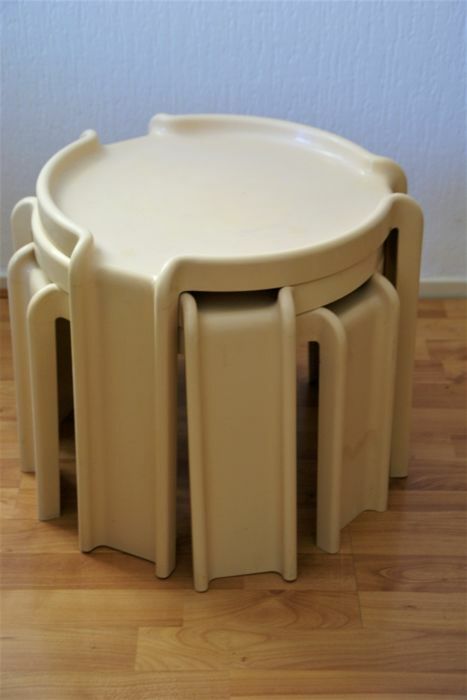 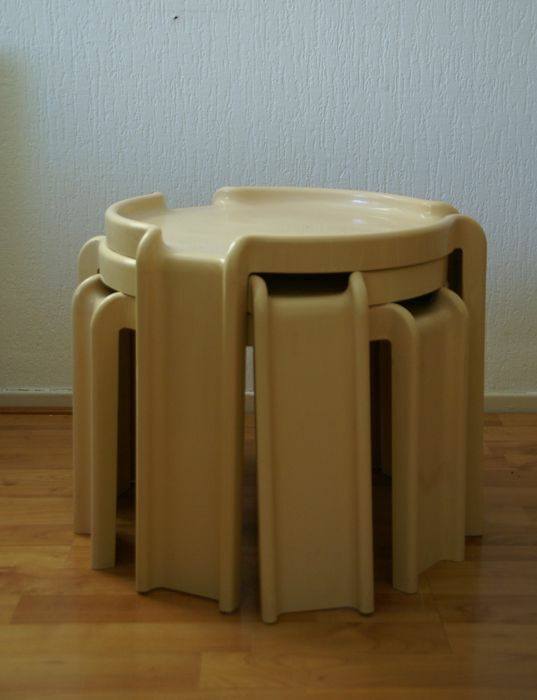 Set of three beige vintage Kartell nesting tables, model 4905 Made in Italy and designed by Giotto Stoppino. 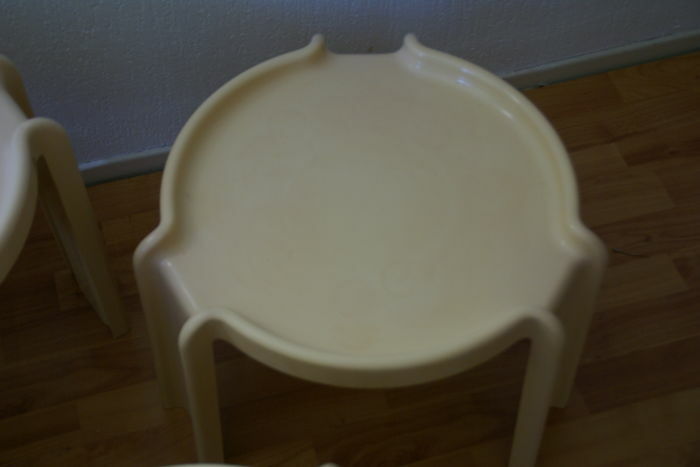 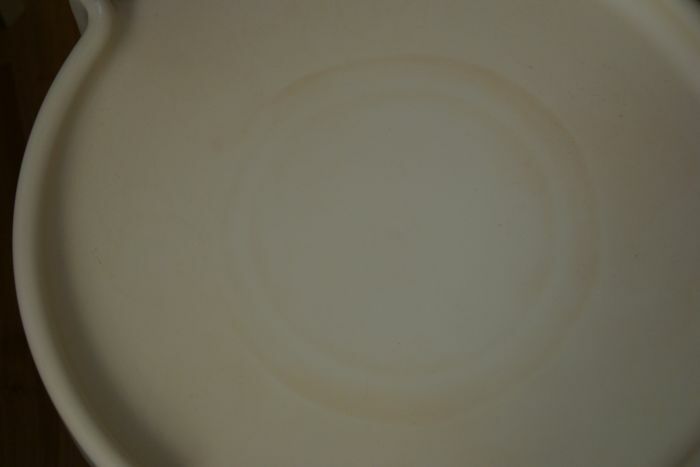 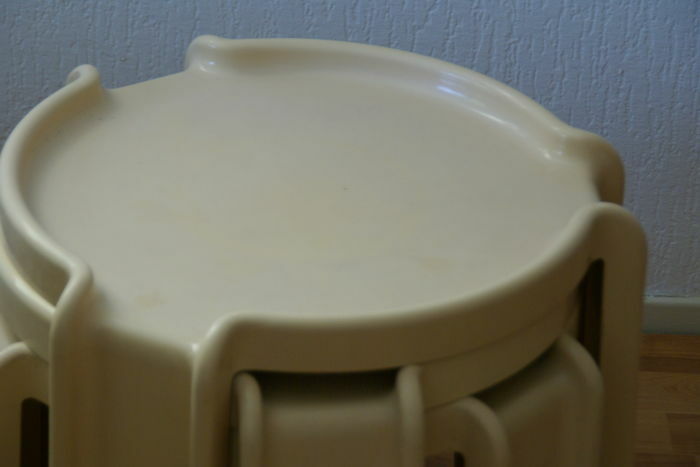 In good but used by age condition see picture. 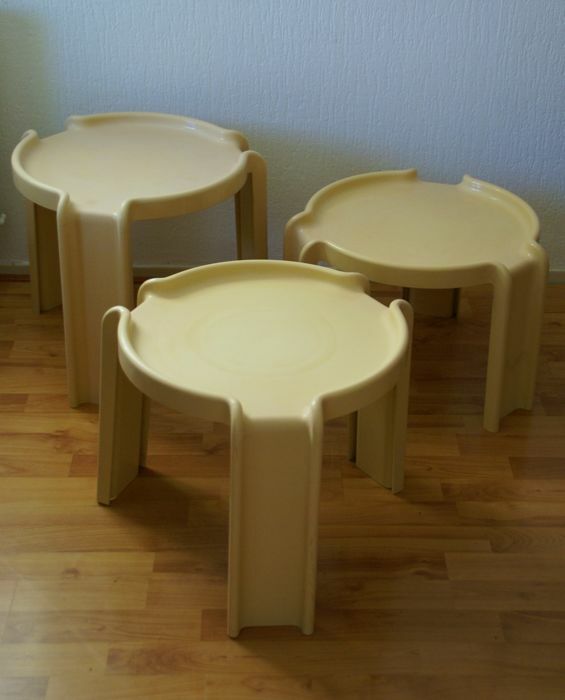 As a set they measure 17 inches high and 18 1/2 inches in diameter.